It's been a while since I've felt so elegant and feminine. The last time I remember feeling this way was probably in my Year 12 Formal and that, my friend, was a really really long time ago :P Thinking about the dress I wore back then, I wouldn't say I regret what I wore but I wouldn't say I was too proud of what I wore either. At that time I decided to go for a classic cut white dress because I guess, what can go wrong with a white dress, correct? But at the same time, I think playing safe isn't the most unique thing ever! If I had a choice now, I would definitely go for this Bond Dress from Vlabel London. I'm so dearly in love with the colour of the dress and the unique details of the design. 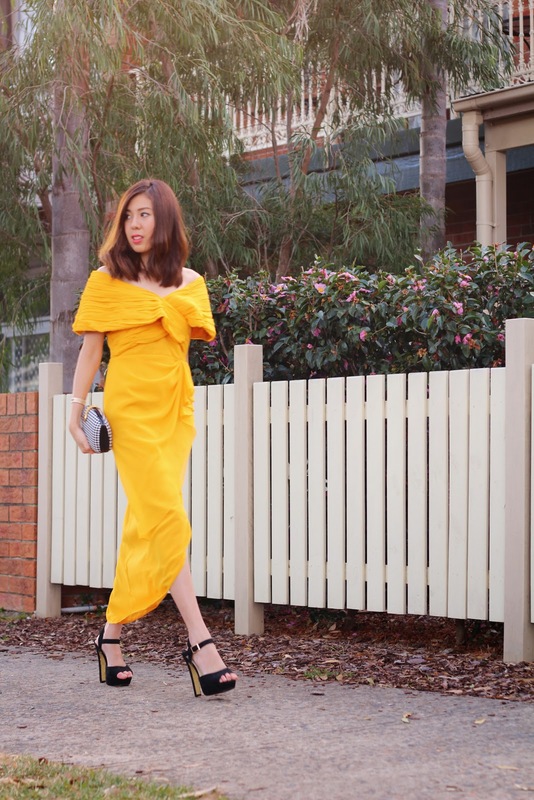 The slit at the front of the dress is probably my favourite part because I can show off my legs and look tall at the same time ;) This dress is definitely an eye-catcher and a statement piece which I won't regret wearing. :P If only I knew about Vlabel London back in year 12 then my formal dress story would be a tad more interesting! You look incredible in that dress ! You look so perfect and amazing in that dress, so beautiful and elegant!